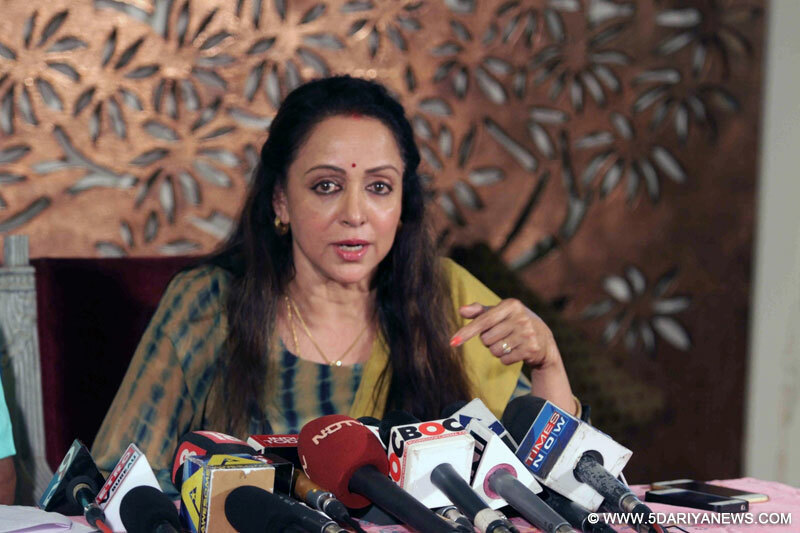 Former Bollywood actress and BJP Lok Sabha member Hema Malini, currently under fire over a land allotment, has now been accused of destroying mangroves on a plot allotted to her in the 1990s.Quoting an RTI reply provided by the Mumbai Suburban District Collectorate, activist Anil Galgali on Tuesday said the actress was allotted a plot measuring 1,741.89 square metres in Versova village and possession was granted on April 4, 1997. "She had even made a payment of Rs.10 lakh, showed a bank balance of Rs.22.5 lakh in the accounts of Samta Sahkari Bank Ltd. and given a project cost estimate of Rs.3.7 crore," Galgali said.However, a year after the allotment, the collectorate slapped a show-cause notice to Hema Malini, asking why the allotment should not be cancelled for violating Coastal Regulatory Zone (CRZ) norms, he said.The notice mentioned three major issues -- first, there was a vast difference in the area of land actually allotted and the land mentioned in the project report; second, discrepancy in the availability of 25 percent funding and how her trust proposed to raise the balance 75 percent of the total project cost. The third issue was the destruction of mangroves adjoining the land and a report submitted by the Andheri tehsildar saying that the CRZ was violated by destruction of mangroves.The notice sought a reply from the trust within 10 days, but there was no response, and even the collectorate did not initiate any action, Galgali said. "Despite such glaring facts on record, the present government has ignored the previous violations, overlooked past records of mangrove destruction on which no action was taken and yet given her another plot in lieu of the earlier allotment, this time a bigger, reserved plot, measuring around 2,000 square metres for a paltry Rs.70,000," Galgali told IANS.On Monday, Hema Malini sought to make a clean breast of the issue by denying allegations of any 'land-grabbing' and claimed that all rules and regulations were duly followed by the state government in making the land allotment to her Natyavihar Kala Kendra Charitable Trust. "I have struggled for 20 years for this plot. It's my right. In the past, all were willing to give me the land, but there were some or other issues and it did not materialise," Hema told media persons. "I ran from pillar to post for this. It's not been easy. The government has given it to me, I have not gone and grabbed it," she countered on the 'land-grabbing' allegations.Following Galgali's RTI revelations last week, opposition parties including the Congress and the Nationalist Congress Party demanded a probe into the land allotment as well as its cancellation.